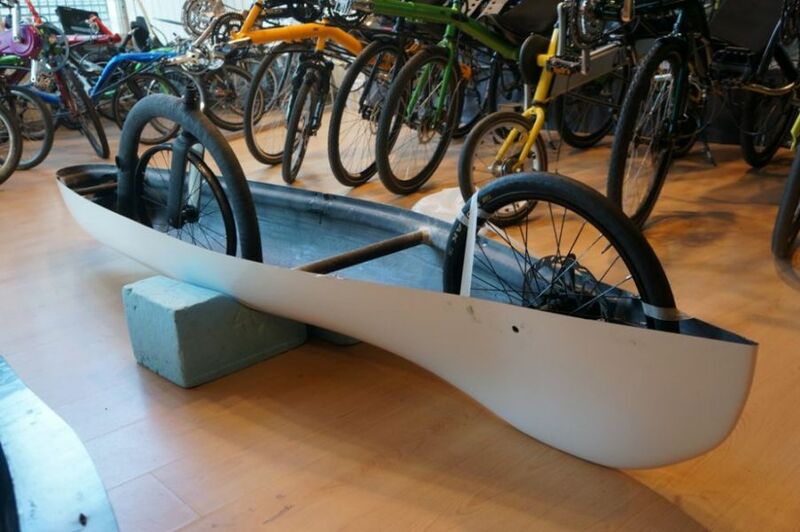 The VeloX-S as used by Ellen van Vugt during the Human Speed Challenge in Battle Mountain will be on show during the Ecomobiel trade show. Hans, owner and builder of this bike will be there to answer any questions. Ecomobiel is a platform for sustainable mobility and mobility management. On this show you’ll find all kinds of vehicles, from E-bikes to E-cars, companies providing services specifically aimed at those services. Entrace is free, but you have to register here for a ticket. During the show a workshop called “Setting up and running a cycle based delivery business” is bein held by Gary Armstrong. More information about this workshop, including registration can be found through this page at fietsdiensten.nl. Ecomobiel is being held at 8 & 9 October at Ahoy in Rotterdam.